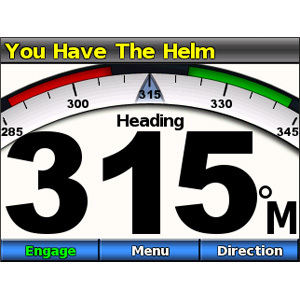 With the GHP 10V’s patented Shadow Drive technology, boaters will enjoy the security of knowing they maintain control even when relying upon the autopilot. 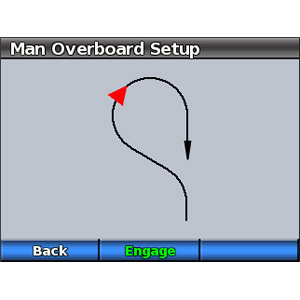 The Shadow Drive system automatically disengages the autopilot if the helm is turned, allowing the helmsman to maneuver the boat. 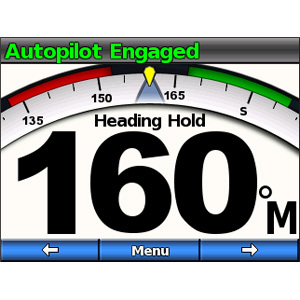 The autopilot automatically re-engages when the helmsman holds a steady course. The GHP 10V is controlled using a GHC helm control unit. 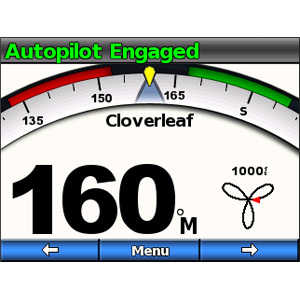 This control unit communicates with the autopilot system via a NMEA 2000 bus, so autopilot heading data can easily be shared with other devices. The GHP 10V's simple interface offers easy operation with intuitive controls. And up to 3 GHC controllers can be interfaced with a single GHP 10V, allowing for autopilot capabilities in multiple stations on your boat. 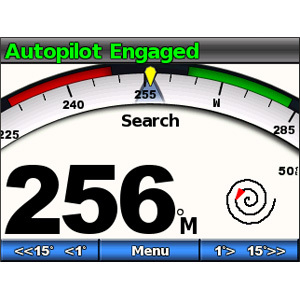 An optional handheld wireless remote control is also available; however, for the highest level of convenience, control the GHC using quatix, the world’s first marine GPS navigation watch featuring ANT® wireless technology.